EBS 5.0 Develops customerâ€™s profiles, lead generation or products control that gives you real time visibility all the way to your business. 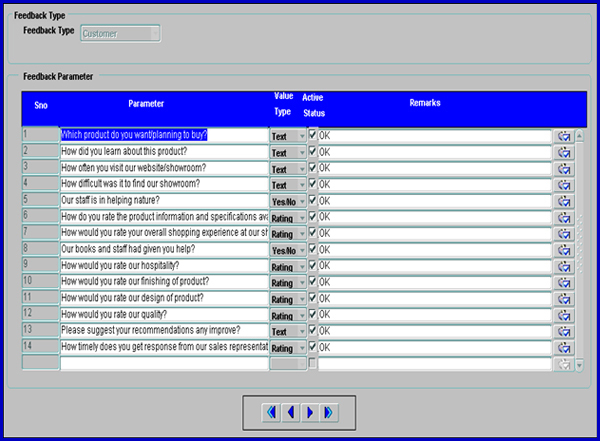 Feedback parameter screen allows the user to enter the parameters or questions which are to be asked from customer related to product service, marketing and sales. 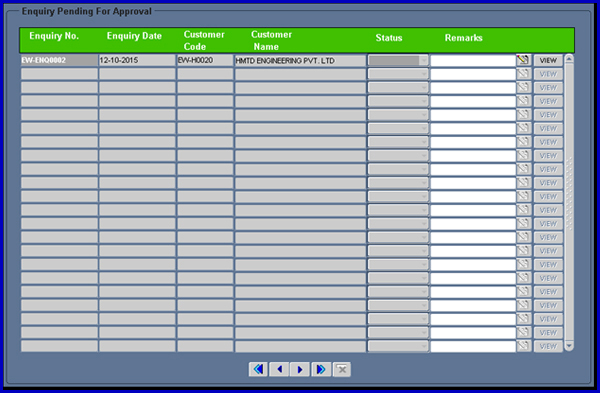 This is a master screen whose data is used while recording the feedbacks received from customer in feedback screen. 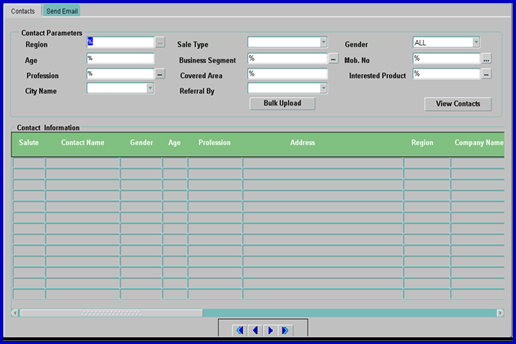 Campaign Information Screen is used for capturing all the relevant details of campaign. 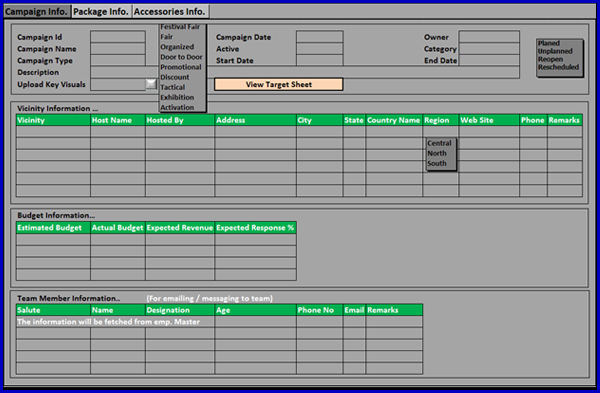 Basically campaign screen helps the users to enter the budget of organizing a campaign and tagging that campaign in leads generated with reference to them. 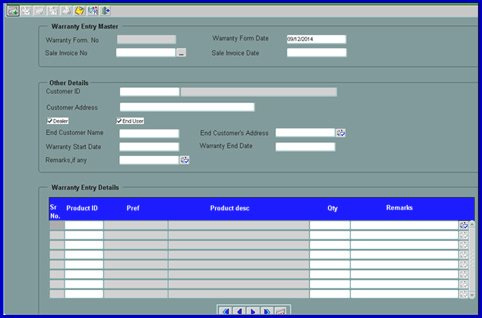 As the name suggests that after an enquiry is captured in the enquiry screen it needs to be processed by the respective authority and complete tracking about the follow ups can be maintained in the system. Lead assignment is an informative form which allows the user to assign a sales representative/sales team to a particular lead. Data is fetched from the Lead generated day wise or lead wise. But the owner of the lead will be the person who has generated the lead. Opportunity generation form allows the user to capture opportunity details followed from lead generation, basically a lead represents the first contact with a prospect yet to be qualified, and a sales opportunity represents a potential contact. 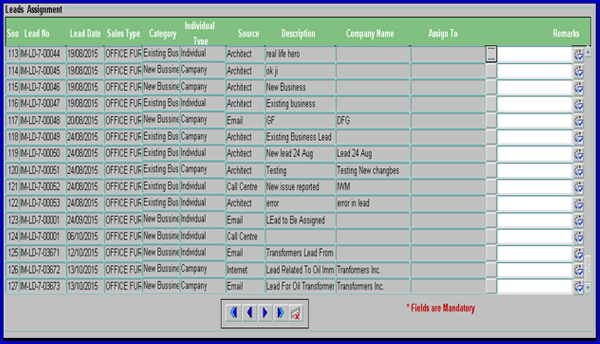 This Screen allows the user to generate lead, uploading contacts in bulk, maintaining a common database of all the contacts existing or new, This screen also enable the user to send email to invite the contacts for a campaign or event, it is very useful for marketing team. 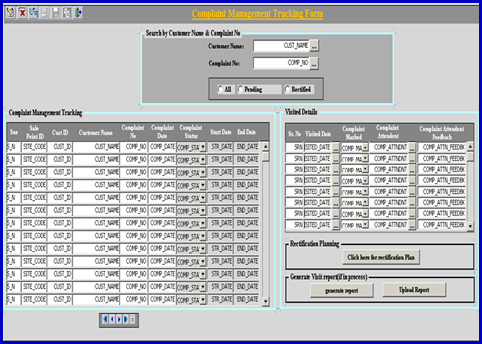 This screen would be used by the site coordinator to plan all the tasks pertaining to the allocated sites and manage all complaints status either as complete or pending. 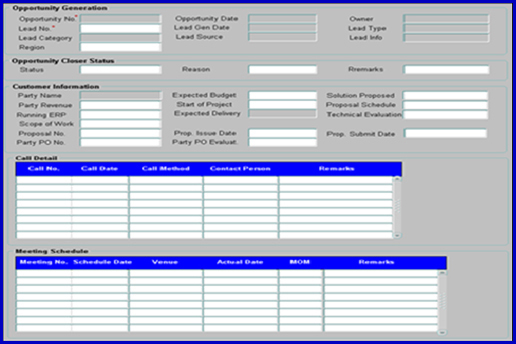 Rectification planning and Visit site report. This option will allow us to calculate the complaint callâ€™s cost tracking. 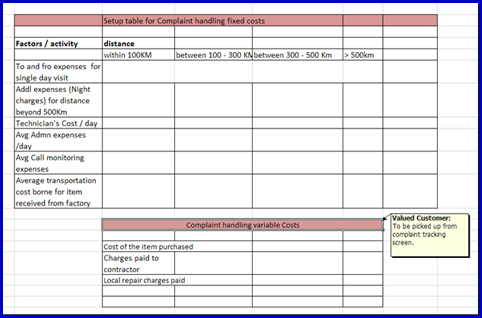 Which we have to make standard so that we can calculate the average cost for every call attend by the service engineer. Warranty entry from is used for creating warranty card for each warranty products sold to the customer and on the warrantable part covered on it.